Dr Simon Cork, Dr Julia Makinde and Professor Arttu Rajantie switched their lab coats for red boxes as they immersed themselves in the world of politics and policy in the Houses of Parliament. The scheme , which pairs 30 scientists with UK parliamentarians and civil servants every year, has been running for almost 20 years. The trio of Imperial researchers spent the week learning about Parliament and shadowing MPs interested in learning more about science and research. The politicians will visit Imperial’s campuses in the coming months to learn about the academic work of their pairs. Dr Simon Cork, Research Fellow in the Department of Medicine, was paired with the Labour MP for Erith and Thamesmead, Teresa Pearce. Dr Cork said he had “thoroughly enjoyed” his week in Parliament, which gave him “an unprecedented insight into the life of an MP as well as the processes by which government seek out scientific evidence to influence policy decisions.” Dr Cork’s highlights included watching the Commons Home Affairs Select Committee grill Home Secretary Sajid Javid and attending a meeting of the All Party Parliamentary Group on Epilepsy. Reflecting on his experience, Dr Cork said he had come away with a new understanding of how politicians have to “take into account economic consequences, security and international relations” alongside scientific evidence when making policy and laws, compared to the “very niche areas [of research] in highly controlled conditions” that scientists operate within. Nonetheless, he said he still saw opportunity for more to be done to ensure that evidence-based policy is the norm. Dr Makinde’s research focuses on HIV and sexually transmitted infections and she is an active member of Imperial’s new Vaccine Research Network , which sets out to tackle the most difficult questions facing the development and delivery of effective vaccines. During the week she said she was “impressed by [Mr Lamb’s] commitment to personally engaging with people and the press as issues were presented”. Dr Makinde also came away from the week with an appreciation of “the diversity of cases” that MPs have to quickly be able to understand in their roles. 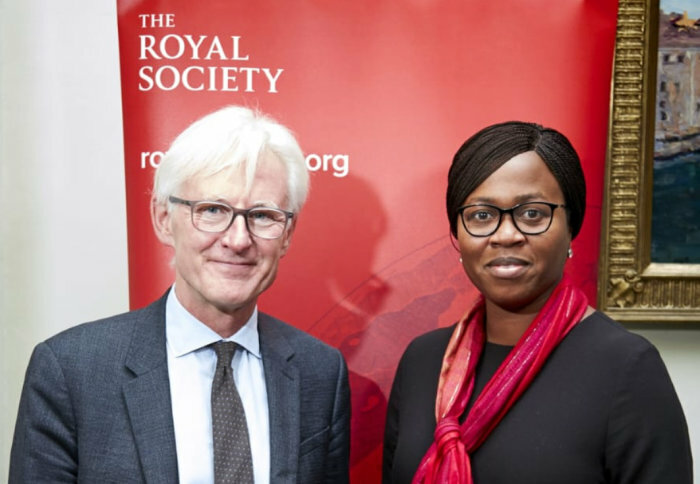 Highlights from the week included hearing from the Government’s Chief Scientific Adviser about the various ways scientists can engage with government to ensure that evidence underpins policy decisions. Dr Makinde said the scheme had been “a revealing experience and one that will not be forgotten in a hurry” and that she is looking forward to welcoming Mr Lamb to the IAVI Human Immunology Laboratory at Chelsea and Westminster Hospital next month. During his week in the corridors of power, Professor Rajantie observed a Lords Science and Technology Select Committee evidence session on forensic science and listened to an Urgent Question on a recent Brexit economic analysis. He also had the opportunity to watch the weekly sparring match between the Prime Minister and the Leader of the Opposition in Prime Minister’s Question Time on Wednesday. Participants in the scheme also got the chance to interrogate policy-makers during a mock Select Committee session, where they played the role of MPs quizzing officials on the use of science in policy-making. Imperial experts have been engaging with Parliament’s Select Committees in recent months. Imperial’s Vice-Provost (Research and Enterprise) Professor Nick Jennings gave his views on the role of algorithms in decision-making to the Commons Science and Technology Committee in May, and former Provost James Stirling gave evidence to the Lords Economic Affairs Committee in November 2017 on higher education funding . The College has played host to several government ministers in recent weeks, including Universities and Science Minister Sam Gyimah , Immigration Minister Caroline Nokes , and Education Secretary Damian Hinds .